Clearly, I am still thinking about the death of Freddie Gray and Officer Goodson, one of six officers charged with crimes that led to his untimely death. Officer Goodson has been charged with second degree depraved heart murder. Thanks to a twenty- four- hour news cycle and countless crime shows, I am too familiar with the charge of second degree murder. Perhaps, I have become desensitized and disconnected because this tragedy is performed for my entertainment season after season finale with heart- pounding scene cutaways and climactic music. But, I have been jarred by the video of Freddie Gray’s arrest; Kevin Moore, the man who captured the last moments he was seen alive, has come forward. This is not reality television; we are watching real life. While questions are being raised regarding the knife that was in Mr. Gray’s possession and subsequently, the legality of his arrest is being argued for and against, I am stuck. I can’t move on until we deal with this depraved heart. A young man has died while in police custody; that cannot be argued. The fact of his funeral cannot be changed or altered. Is the mourning over? Has our heart healed? Have we even acknowledged the depth of loss due to his death and the trust for the law that has seemingly been broken again? Our relationship with each other has taken another blow. Will we just prepare ourselves for the next offense? Or, will we stop to examine how we got here and why we do not want this to happen again? Will we set up boundaries to ensure mutual respect? Will we get to the heart of the matter at all? 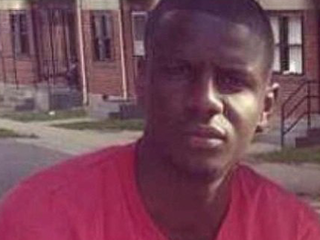 Why are the images of Gray’s arrest upsetting? What expectations for human relationships regardless of position have not been met? And how can we raise the standard of our living together? When did we stop caring about each other? When did our heart change and become hardened? They talk about hardened criminals but I wonder if we have become hardened human beings. How could our heart turn away and allow a man to die not in the arms of a loved one or in presence of family and friends but alone with hands and feet bound on the cold floor of a police van? That the heart of the matter; that’s the evidence that I want examined.